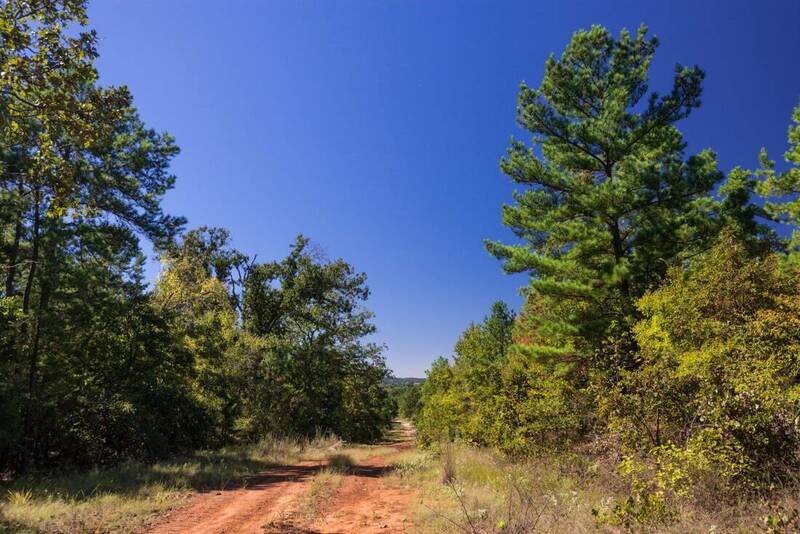 The Greene Ranch is an excellent timber property and deer hunting ranch just East of Athens. 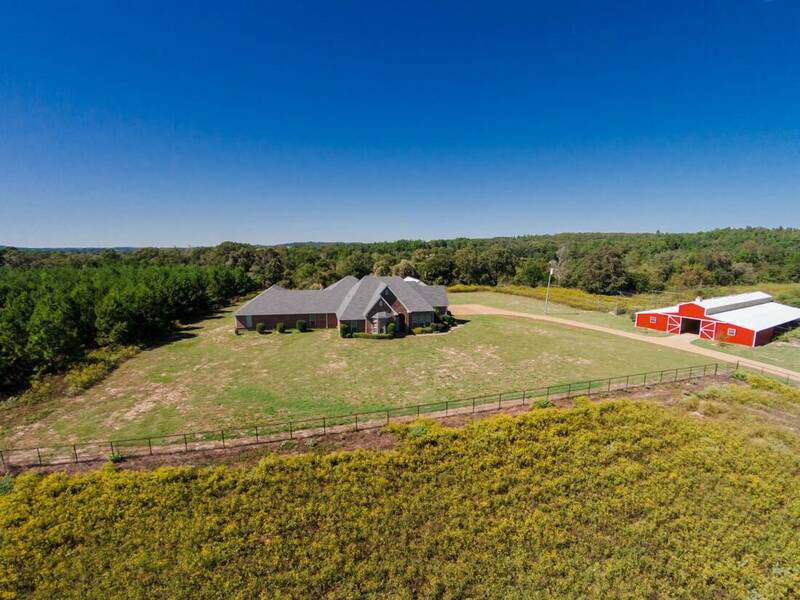 It has dynamic topography, professionally-managed timber resources, and well-built improvements including an approximate 4,500 SF custom home, large airplane hangar, and several other barns and lodge facilities that provide key assets for developing this ranch with several different options. Location: The ranch is just East of Athens and LaRue in the Southeastern part of Henderson County. It is an easy drive on Highway 175 at 95 miles from Dallas: or 25 miles from Tyler, or 175 miles from Houston. Improvements: The 1999 custom brick home is very comfortable and sits on the hilltop with great views in all directions. It has approximately 4,500 SF, 3 bedrooms, 3 baths, 2 wood-burning fireplaces and an outdoor entertaining area complete with a pool, hot tub, and covered grill area. The house also includes a large indoor workshop that can be converted into another bedroom or living room, and a detached garage. One main feature of the ranch is the 7,000 SF airplane hangar, built in 2009. It has concrete flooring, insulation, and a hydraulic lift door that opens to the grass runway. The 12-stall horse barn built in 2005 has hot water and is part of a 5 acre high fenced area that can also hold exotics or other livestock. The entertaining lodge is about 4,000 SF and opens out over the former shooting sports field. Inside, there is a large kitchen, bathroom, and three separate offices that can be converted into bedrooms. An equipment barn with 3,500 SF has rollup doors and is next to the lodge. 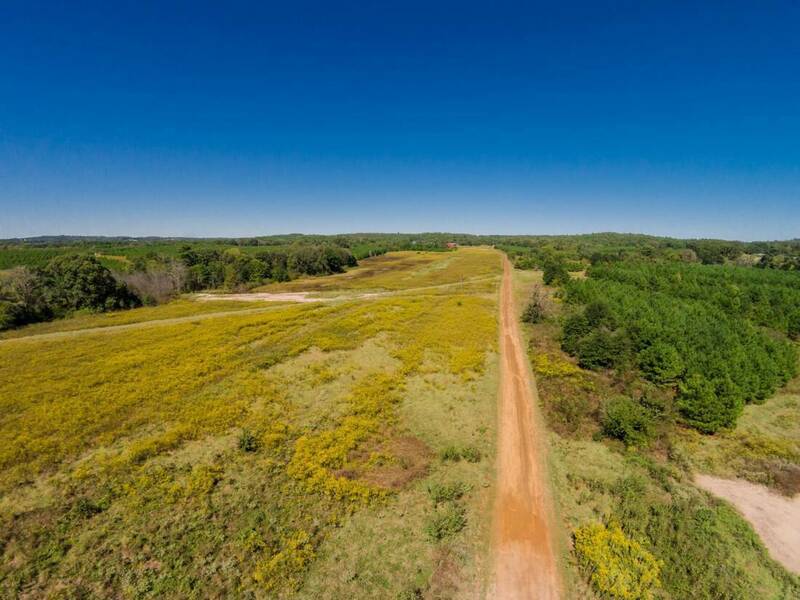 Land: Topography says it all for the Greene Ranch. There is a range of about 200′ in elevation change, with the highest point being at 642′ where you can see for miles over the pine trees. Four food plots have been established with feeders, water troughs, and tower blinds in place. The neighbors are large landowners, and the property definitely has a quiet, remote environment. Most of the soils are fine sandy loam, with some pockets of light clay and iron ore that can be used for good base road material. There is an excellent road system throughout the ranch, and although this is a large property, the ranch feels and hunts larger than it is. Timber: The timber is professionally managed by Mike Cline Forestry, and has an approximate current value of $300/acre. This value will grow to about $450-600/acre over the next 5 years. Water: Two good water wells are in production on the ranch. One services the house, and one services the lodge. The ranch has some creek beds that funnel water through the ranch, and about 3 ponds, and there are at least two small lake sites that can be developed. Minerals: The seller does not own any minerals. There are a few buried pipelines on the ranch, most of which have been abandoned. Taxes: Annual taxes are approximately $11,400. Misc: Ranch equipment and rolling stock are also available with an acceptable contract. There are not any public or county roads that run through this ranch. The Lake Palestine water pipeline project does not affect this property.